After recently procuring a huge Costco-sized container of tomatoes from my parents house, I knew I needed to seek out a fresh recipe in which to use them. There are only so many sandwiches, salads, and paninis one can eat. After fussing around a bit, I spotted this Paula Deen gem: Tomato Pie. Now, I did modify the recipe. Paula Deen served simply as my inspiration – I could not bring myself to top this baby with the insane amounts of cheese and mayo she suggests. I used a store-bought pie crust, pre-baked it, and loaded it with rough diced tomatoes, chopped basil, chopped green onion, a dash of olive oil, pepper, garlic powder, and salt. No real measurements. 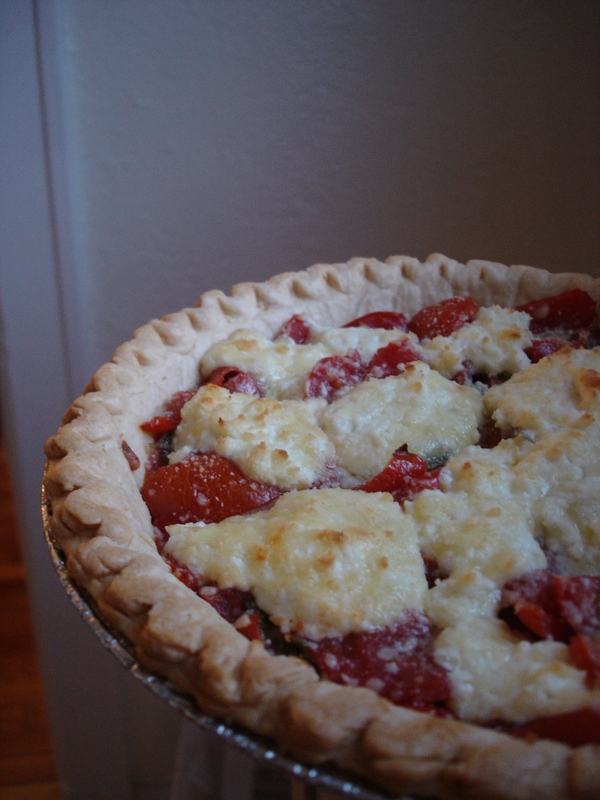 As the picture shows, I could have used even more tomatoes – my filling is falling a little shy of the crust-line there. I topped the pie with a mixture of approximately 1/4 C crumbled goat cheese, 1/4 cup shredded sharp cheddar, and 1-2 T sour cream. I baked it for a good half hour, peeping in the oven now and again to assess the creamy/golden-ness of the cheesy topping. To note, my bottom crust did get a little soggy. I seeded and drained the tomatoes, but perhaps not enough. It still tasted lovely to me though. Over the last month, I have fallen into a nice Sunday night routine. I pick a new recipe, gather the ingredients, and bake something yummy (hopefully) that will carry me through lunches and snacks during the coming week. The biggest challenge during this routine is not eating 3 or 4 of the cookies/muffins/cupcakes that come out of the oven at 9PM or so. What? Any reasonable person would taste the goods hot out of the oven, after they have had a chance to cool, and somewhere in between. I really like scones. My favorites are at Café Raymond in the Strip – huge, crumbly but not dry, and not too sweet. One Saturday morning, I happened upon rosemary walnut scones there – divine. My re-created effort was pretty good but the texture was different. Alton Brown’s recipe seems to result in a more biscuit-like and buttery scone. I may attempt to further tweak the recipe due to personal preference, but it is delicious as is. Probably all that butter, cream, and shortening 🙂 . I omitted the currants called for in the recipe and added approximately 1 cup of chopped walnuts and 1T of chopped rosemary. I am always on the hunt for a good chocolate chip cookie recipe. I tried this one for a cookout and liked it! I am not sure it was good enough to give up my chocolate chip cookie recipe hunt but the cookies looked good and tasted pretty yummy. They were more crunchy than soft. I did omit the walnuts – maybe they would catapult the cookie to ‘best ever’ standards? While these were tasty straight out of the oven, they kind of had a funky texture and taste by the next day. I would not recommend these muffins. Last Friday, I finally came out of my blogger shell and met up with some other Pittsburgh foodies at Church Brew Works in Lawrenceville. If you have never been to Church Brew Works, you probably need to get there. The food is decent but the atmosphere really steals the show. I thoroughly enjoyed a few beers, a pretty tasty artichoke and feta pizza, and the laid back conversation. 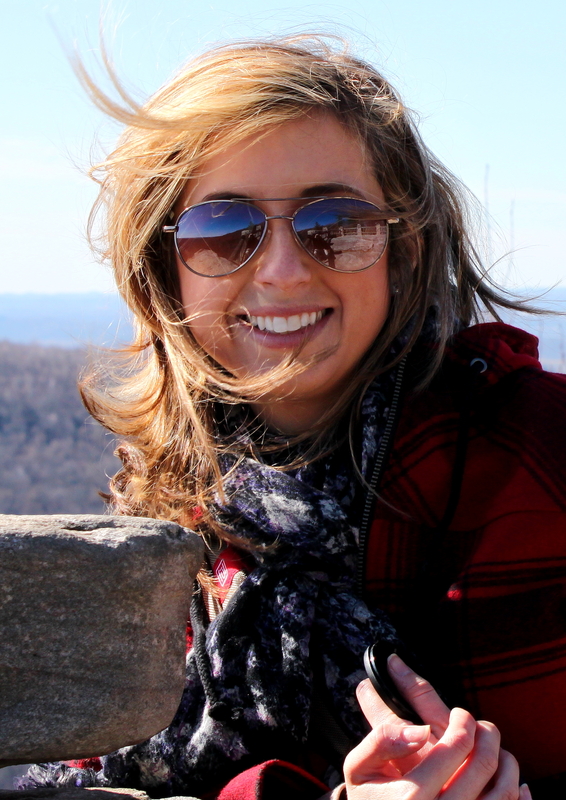 Check out Lindsay’s post on the event! 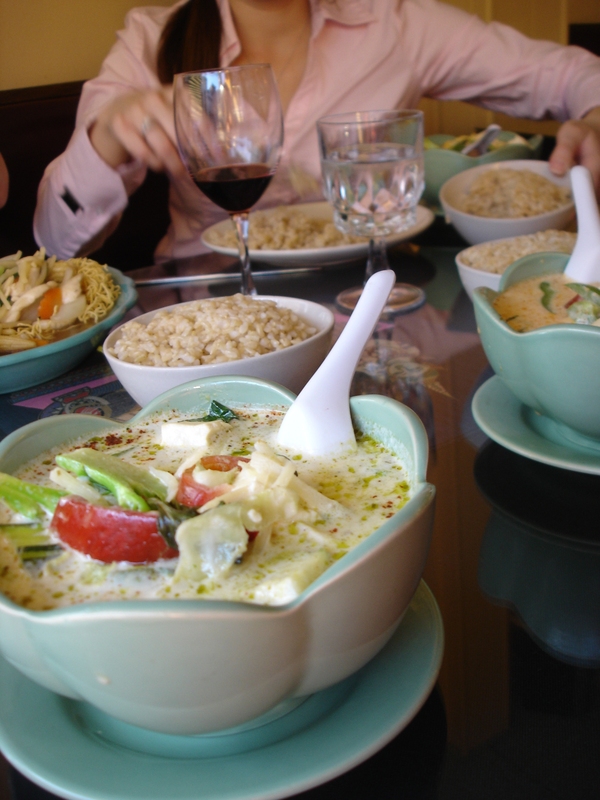 I have heard good things about Thai Cuisine (4627 Liberty Ave – Bloomfield). When I finally made it there with a few friends and a bottle of wine (BYO! ), I thoroughly enjoyed myself. I ordered the green curry with tofu and requested a “6” on the 1-10 spiciness scale. Yum. The dish was full of veggies and tofu and I found myself continually slurping up the delicately rich coconut based broth. To note, an order of spring rolls somewhat underwhelmed the table. I prefer the ones at Thai Me Up on Carson Street. However, the entrées really did shine and I surely foresee myself craving that green curry at some point in the future. The service was more than efficient and the price is certainly right. Overall, I would rank this spot above Thai Me Up, another Pittsburgh Thai spot. Am I missing any other decent Thai joints in the ‘burgh?